Gamigo announced today that Ironsight, the free-to-play multiplayer military-themed first person shooter developed by Korean studio Wiple Games, will launch in Western countries for Windows PC in early 2018. A closed beta test will begin in November and interested players may sign up for it on the game’s official website. Thrilling Multiplayer Action: Pick a side (team NAF or team EDEN) and fight for Earth’s last remaining resources. Discover the Iron Engine: Enjoy a stunning modern game with high-end visuals and complete compatibility across PC systems. Over 14 Unique Battlefields: Discover varied environments with destructible and interactive elements as well as dynamic weather effects. Over 100 Different Weapons: Unlock weapons of all kinds (such as Sniper Rifles, Shotguns, Assault Rifles, SMGs and many more) and find the one made for you! Unlock Weapon and Character Skins: Customize your character to your playstyle. Drones, Baby, Drones: Operate drones to drop Napalm and EMP explosives and use various other tactical gadgets to pierce through the enemy’s defenses or protect your position. Ironsight immediately won us over with its compelling, high-quality core shooter gameplay, delivering tremendous polish and refinement, and we are delighted to work with Wiple Games to bring this enticing free-to-play title to western audiences. The addition of Ironsight to our portfolio demonstrates our deep commitment to core gaming and further broadens the gamigo group’s global publishing lineup. 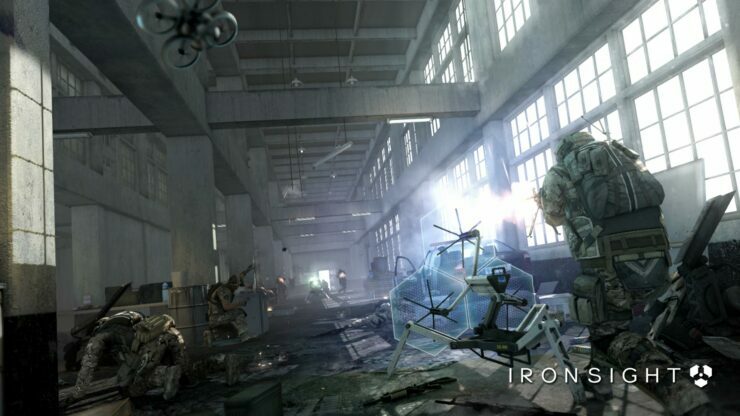 Ironsight is more than a first person shooter and offers many different tactical aspects that we believe western audiences will love. We are delighted to have found gamigo AG as publishing partner for Ironsight and look forward to the release and to further enhance the game based on feedback from the shooter community.